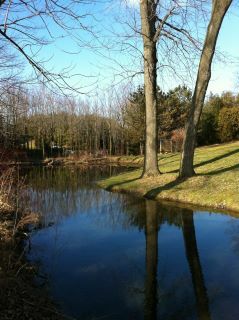 No the pond does not look like this today. Today we have white fluffy snow everywhere. I have had a busy week. I was in the big city, then recovering from being in the big city. The view from my hotel window. 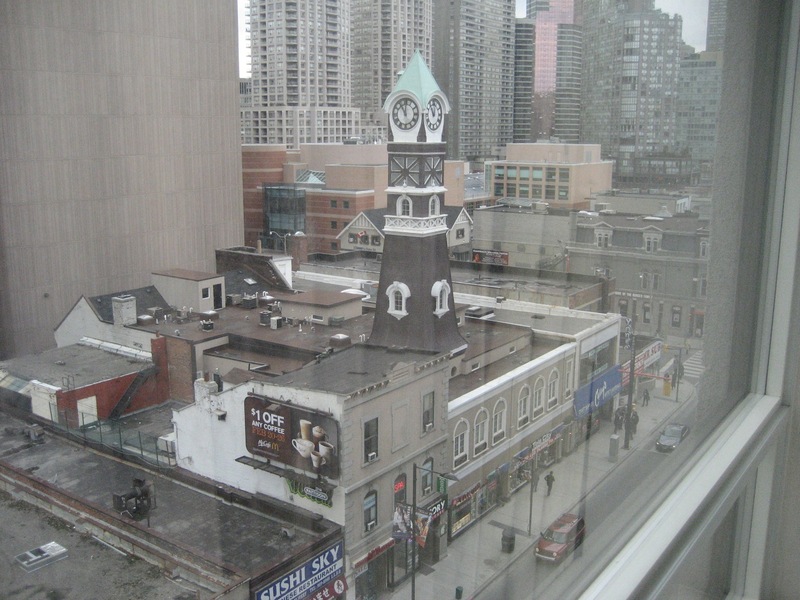 It is nice to see some interesting buildings that have not been sacrificed to the tall towers. 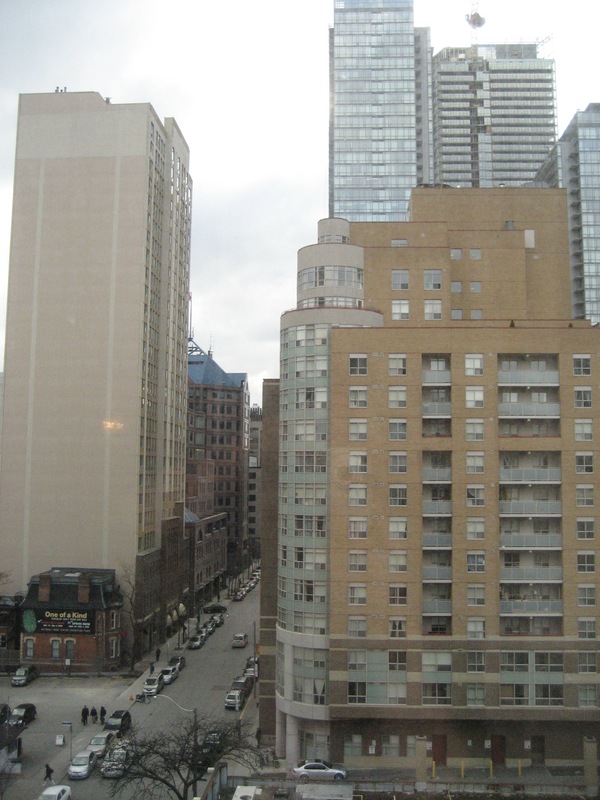 This is Yonge Street in Toronto, Ontario. I know many people who love living here. I just love to visit. 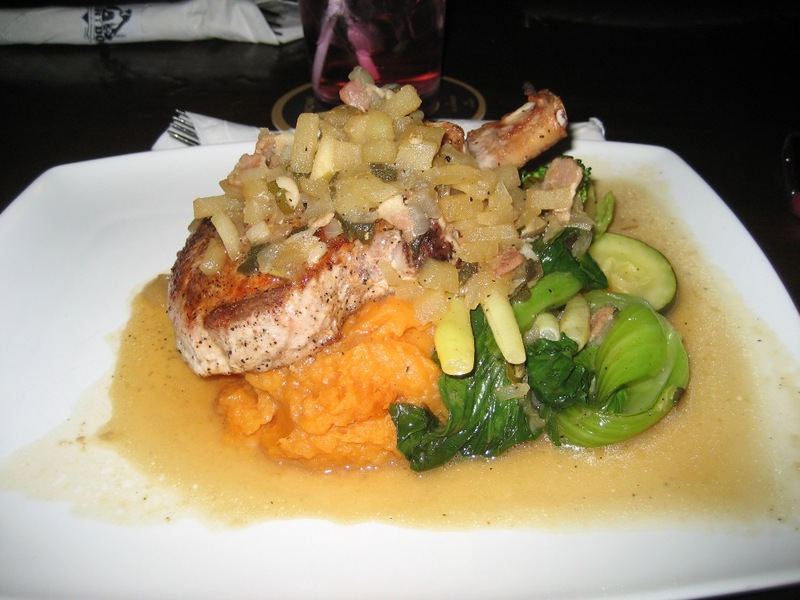 This was a lovely pork chop on a bed of sweet potato mash with carmelized onions and sautéed mixed vegetables. It was very good. And the company I ate it with was even better. Gotta love your girlfriends! In full disclosure, they both ate salads, they were nice too….I was hungry from a long drive. Back at Hedgehog Hill we are seeing some progress. And maybe the last snow of the year??? maybe?? ?